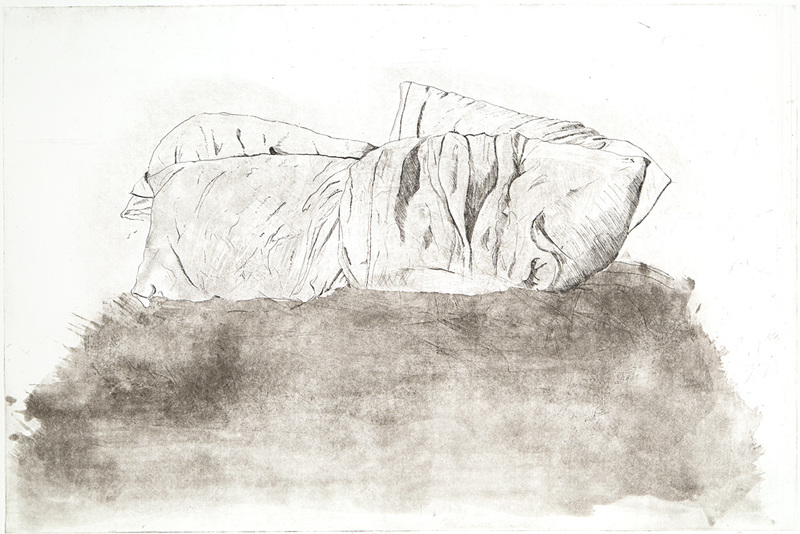 “My work is about the image of intimacy,” says Kansas City artist Ruben Castillo, a second-year Charlotte Street Foundation Studio Resident who teaches in the printmaking department at the Kansas City Art Institute. 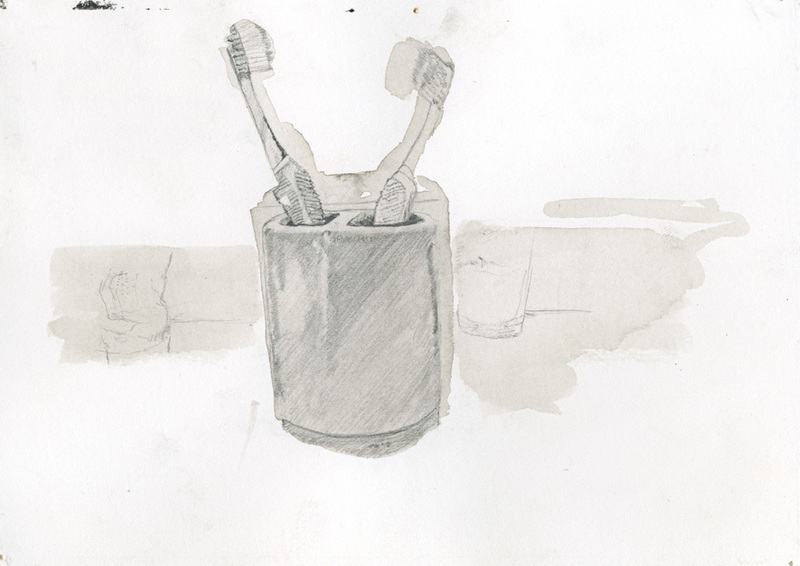 Castillo is known for his sensitive etchings and ink wash drawings of ordinary domestic objects — sofas, chairs, closets and hangers, a pair of toothbrushes sharing a single cup. Some works are as small as a postcard. 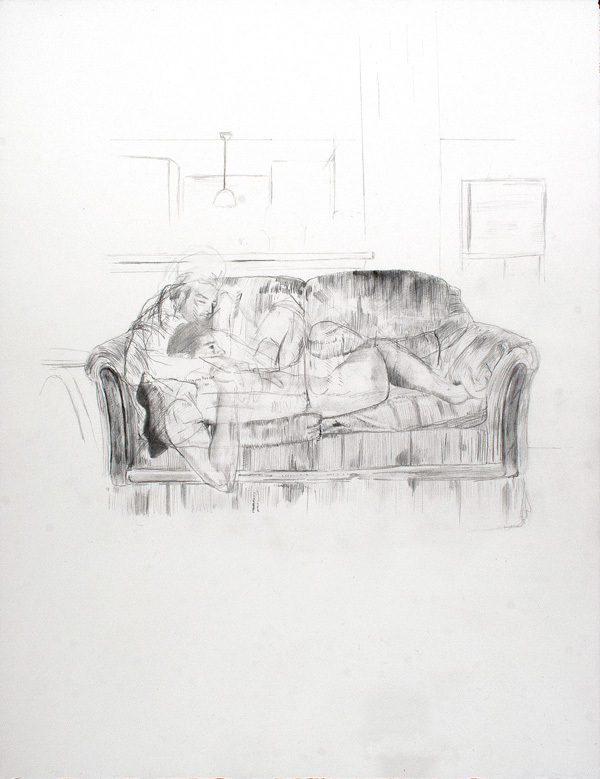 Most of his images present objects in pairs, an allusion to his shared life with artist Derek Dobbins, his partner of seven years. 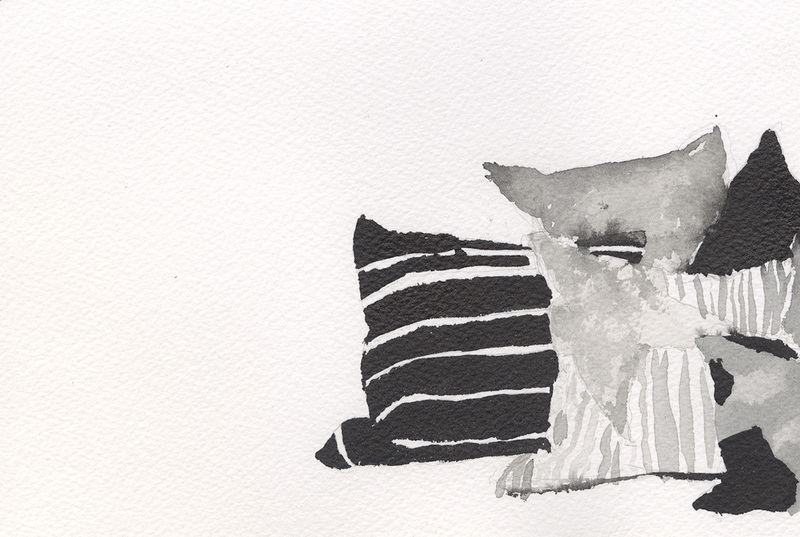 The couple’s pillows are the focus of many of Castillo’s prints and drawings. For a while, he said, he would photograph their pillows every morning when he got out of bed, well aware of whose footsteps he was following. 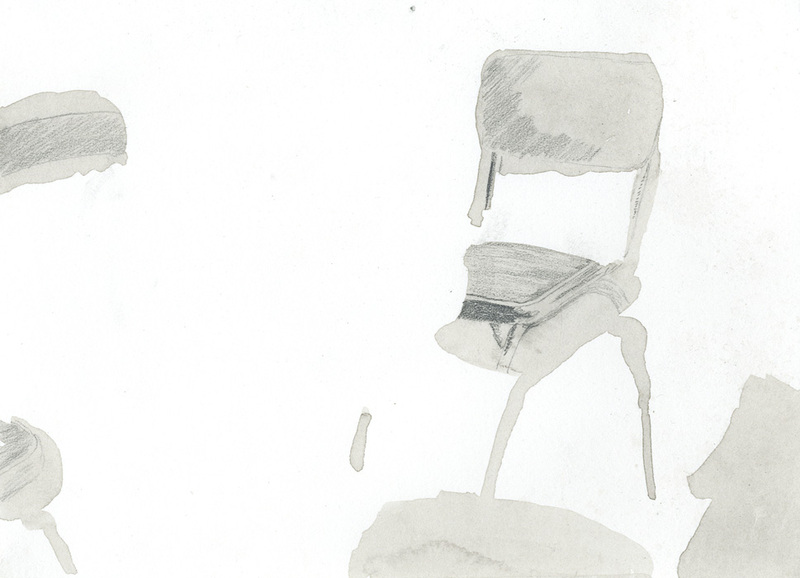 Recently, he has been creating small works on paper featuring IKEA products that attract him. “Things I Want From IKEA” is “about desire and dreams of a nice home,” Castillo says in his artist statement. Stacks and clusters of patterned pillows are a recurrent subject of his IKEA-inspired “Make Room for Comfortable” series. 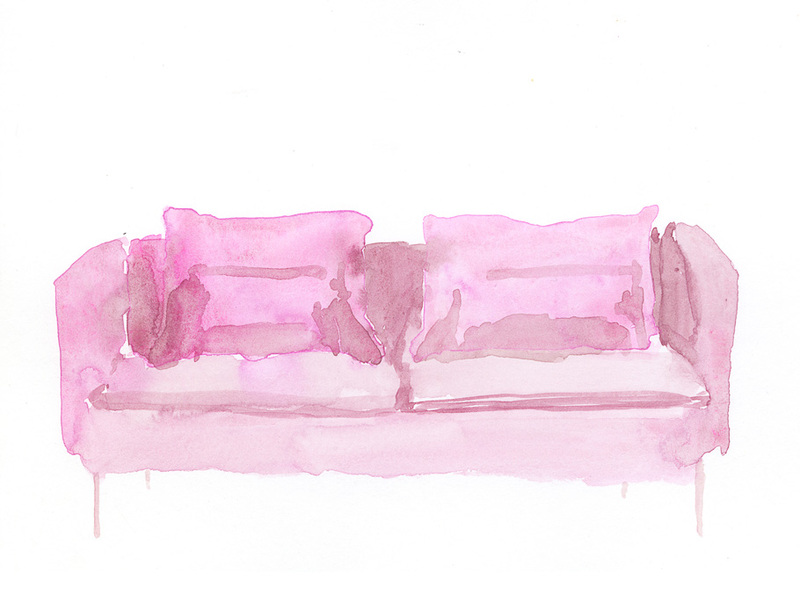 Another group of works, “Pink Couch Fantasy,” re-envisions IKEA couches by endowing them with pink upholstery, inspired by a pink bedroom Castillo and his partner once had. 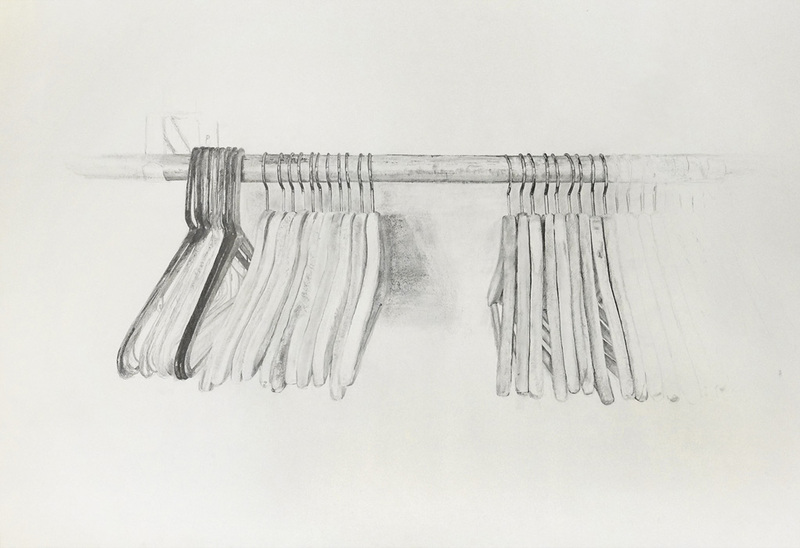 Castillo’s output also includes video and sculpture, including the mixed-media installation “Drawing of Our Closet (Love Notes),” shown in the artist’s 2017 thesis exhibition at Haw Contemporary. Filled with what the artist describes as “ready-made objects . 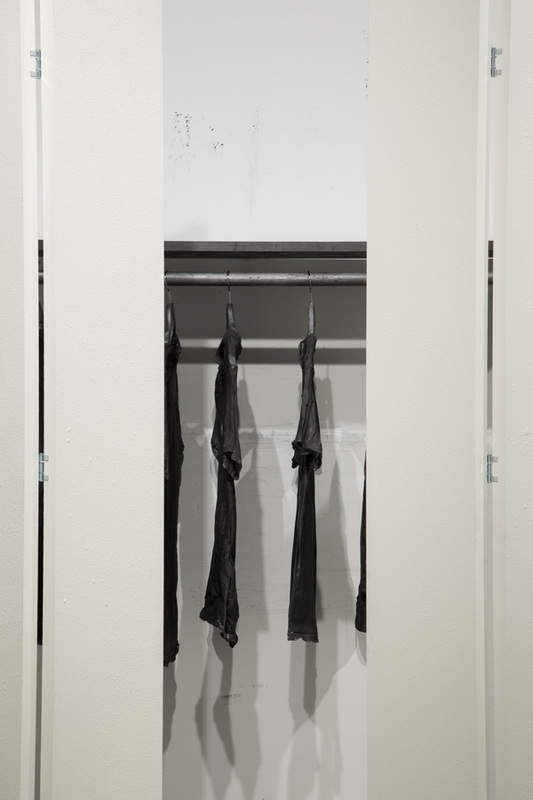 . . treated in a variety of manners that queer the objects and the space they occupy,” it’s a replica of Castillo and Dobbins’ shared closet. Two of Castillo’s large pillow etchings are on display at the Crossroads Hotel, which recently purchased the works for its collection.